Our Liverpool Clay Pigeon Shooting centre is just 30 minutes from the centre and you will receive one to one tuition from a qualified instructor. He will teach you the proper stance, how to hold the gun, time your breathing and most importantly where to aim your shotgun as the clays start whizzing by. 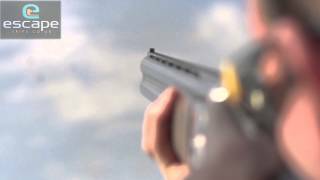 View our Clay Pigeon £55 video and get an idea of what to expect on this activity.